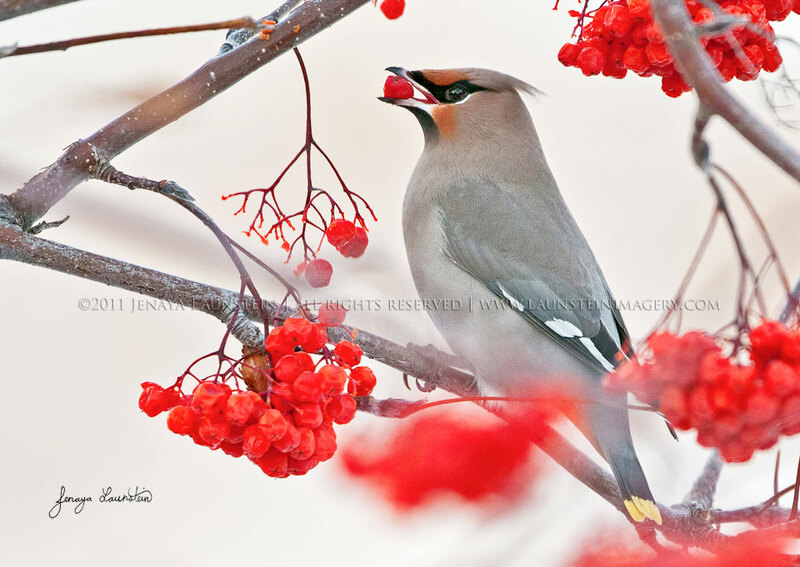 Every winter, flocks of Bohemian Waxwings move through the towns and river valleys of southwestern Alberta in search of berries. The speed at which a large flock can strip a tree bare of its fruit can be astonishing, so Jenaya was delighted to capture this beautiful waxwing still surrounded by red. Eatin’ Berries was the youth winner of the 2012 Canadian Geographic Wildlife Photography of the Year contest, and went on to be exhibited at the Canadian Museum of Nature. It’s become Jenaya’s best-selling Limited Edition print.